The purpose and engagement of a job you love can keep you healthy and connected. While many women dream of kicking back and relaxing into retirement, there's increasing evidence that in some cases, it's better for your brain and your health to keep your nose to the grindstone a little longer. "The research to date is mixed, but it tends toward the positive — that is, for many people, there are health benefits to working longer," says Dr. Nicole Maestas, associate professor of health care policy at Harvard Medical School. The right job, she says, can keep you connected socially; it can help you stay physically active; and it can give you a purpose, a challenge, or a creative outlet. These factors have all been shown to contribute to health over the long term. One 2016 study in the Journal of Epidemiology and Community Health suggests that retiring early may actually increase your risk of dying early. Findings showed that healthy people who postposed retirement and chose to retire a year later than those in a comparison group had an 11% lower risk of dying from any cause during the study period (1992 to 2010). Retirees with health problems also lived longer when they postponed retirement. Another study, by the French government's health research agency, linked a later retirement to a reduced risk of Alzheimer's disease and other forms of dementia. Working longer may also help you retire more comfortably when you do decide it's time. Women who stay on the job longer can earn back income lost during breaks they took earlier in their careers. In one recent study, Dr. Maestas found that women gain more financial return than men do from continuing to work through their 50s and 60s. "And it has the added benefit of boosting their Social Security benefits," she says. However, it's important to note that while the research may be leaning in favor of working longer for better health, not all studies show benefits — or even a connection. In a study in the Journal of Health Economics, Australian researchers concluded that it's actually your overall health — not your retirement age—that affects longevity. The variation in findings may reflect two challenges inherent in this area of study. First, it's difficult for researchers to determine which came first, health problems or retirement. "While work may affect your health, at the same time your health affects your ability to work," says Dr. Maestas. A second challenge is that existing research has studied the effects of retirement on different groups of people. Some may benefit from retiring sooner, others from working longer. "Researchers haven't figured out yet who gets the benefits and who doesn't," says Maestas. These mixed findings make sense when you think about how the job you do and the environment you work in can influence your health. While a positive work environment may improve your health, the opposite may be true for women who work in hostile environments that cause them physical or psychological stress, involve physical risks, or are monotonous and uninspiring, says Dr. Maestas. "So, if there is one message to women, it is to continue to work if you experience the work environment in a positive way; otherwise, you might consider transitioning to a new position—perhaps even within the same company," she says. The good news is that today women have more flexibility than ever when mulling whether to retire or stay at work a few years longer. "One helpful trend in this regard is that 'retirement' is no longer an all-or-nothing decision like it used to be," says Dr. Maestas. In some cases, women reshape their jobs rather than leave them altogether. "Many people reduce hours, change jobs, downshift to less demanding positions, or change occupations. Some people take short breaks to reboot skills or take a trip," says Dr. Maestas. "Some people will later upshift for a period of time if a great opportunity comes along. They may even start a business." 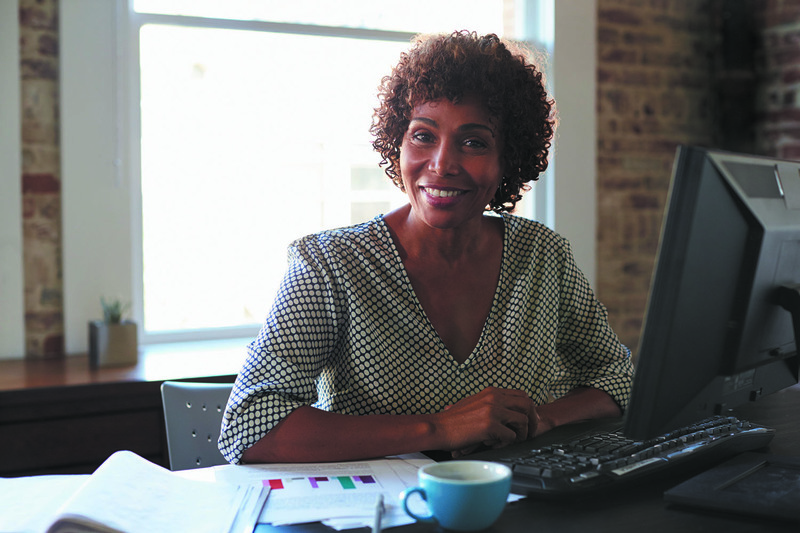 Ultimately, for most women, the decision about when to retire will depend on a variety of considerations, from family needs to health and future plans. "But it is worth placing more weight on the long view — working longer can enhance financial security and, under some circumstances and for some people, may even boost your health," says Dr. Maestas. "In my opinion, women should try to maintain engagement in the workforce for as long as possible."